Tonight’s debate centered around the idea of whether opening up the classroom and sharing in schools is unfair to our children. The agree side initially had a strong argument from the angle that the permanency of the web, and the digital footprint that now follows individuals around for life is a dangerous one that has caused, and continues to cause issues for people in their personal, and especially their professional lives. The term bouncing was new to me, although the concept was something I was familiar with. This is the concept where an individual or group shares some personal information, or photo, and that is then used by another and put into an entirely different context. The agree team also had a good point in that the majority of parents and educators who are responsible for providing positive feedback and modeling proper behaviour simply aren’t doing a great job. I would agree that most families likely don’t think how their own actions have an influence over their children’s use, and teachers as well are making snafoos in terms of sharing photos of their students through their personal Twitter or Facebook accounts. This brings us to the salient points provided by the disagree team. The disagree team argued that in providing students an opportunity to practice digital citizenship in a safe, monitored environment, students will be more aware and comfortable in when and what to share, and how to navigate situations where their privacy or integrity might be compromised. Kyle gave us a great example of how a photo of him was captured of him, in what looked like a compromising situation. I would argue that said student who captured the photo of Kyle would have thought about the consequences of his sharing the photo were he to have had an education in digital citizenship. An Overview of the 9 Elements of Digital Citizenship – A breakdown of Mike Ribble’s 9 Elements, all including links to relevant activities and lessons. Common Sense Media’s Scope and Sequence Digital Citizenship Curriculum – Hands down the best reference for lessons and activities specific to grade level. The Parents Section on digitalcitizenedu has a lot of great information for parents to better understand digital citizenship, as well as how to support their child as well as to be more aware of their own online habits. Another solid argument the disagree team had was the idea of strengthening connections between the classroom and home, and how such a connection would further build on a child’s ability to retain information and activate higher level thinking processes. 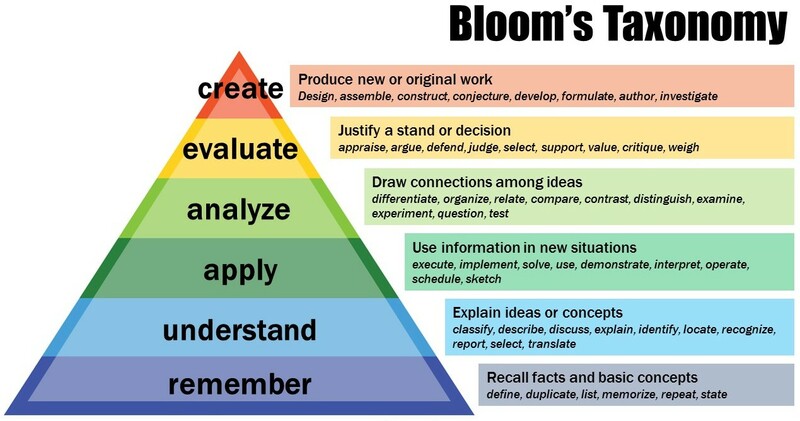 This reminded me a lot of the concept of the flipped classroom, where students have the opportunity to familiarize themselves with content ahead of class, as as to quickly bypass lower levels of Bloom’s taxonomy, so students can begin to apply and evaluate content. Providing a window for parents into their child’s daily school activities will further enable parents to support their children in better understanding the concepts being covered in class. And, yes, not all parents will do this. Not everyone will. So how do we get parents thinking more about their child’s interactions with digital citizenship and sharing, as well as how they can support their child’s learning outside of the classroom? Easy! At the beginning of the year, during the meet/greet teacher night, hold a quick run through of digital citizenship (you’ll be teaching it throughout the year, so I’m sure you’ll want to let the parents know, just as you would tell them about all your exciting math units), and provide parents with information online that will help them out. This will at the very least put the bug in their ear, and will hopefully get them thinking about their own digital citizenship related habits. Another way of facilitating this would be to encourage your admin to look through the SK Digital Citizenship Curriculum with you, and to start the conversation on how to roll this out school wide. If all staff were offered a crash course in how to teach digital citizenship, as well as provided resources in how to facilitate it, fewer teachers could use the crutch that they don’t think they should be responsible for teaching it, or don’t know how. In tandem with a school-wide roll out, a digital citizenship primer for parents could be set up. Providing links to relevant resources on the classroom or school website would help support parents when making the important decision to support their child in making the right choices when sharing and using online tools. Even though we weren’t the favoured team last night, I’m glad that some of the info we had to share was useful and applicable to you. I hope it helps you to better educate your students moving forward too! I know it will for me! I appreciated your points last night! Lot so great resources. I think we were both headed to the say point that we need to think about what we do before we post and make an informed decision about whether or not sharing online is the best option. Pingback: Start the conversation – If you teach them how to share it’s more than fair! – What's Your Story? Enjoyed your blog post – I agree it’s important to engage teachers in relevant PD so that we can all engage in conversations about digital citizenship! Totally! The thinking before speaking part is so important! And Stephanie, we loved your job in sharing last night too! Good thoughts Jeremy. I saw a post recently by George Curous http://georgecouros.ca/blog/archives/6316 discussing the seemingly endless demand for increased PD. His conclusion was that we should at this point be self managing much of our own PD as teachers. I totally agree that we must be proactive in becoming competent in these digital citizenship areas even when traditional PD Oportunities are lacking. Elementary school teacher and masters student. Two kids, old house, great wife.